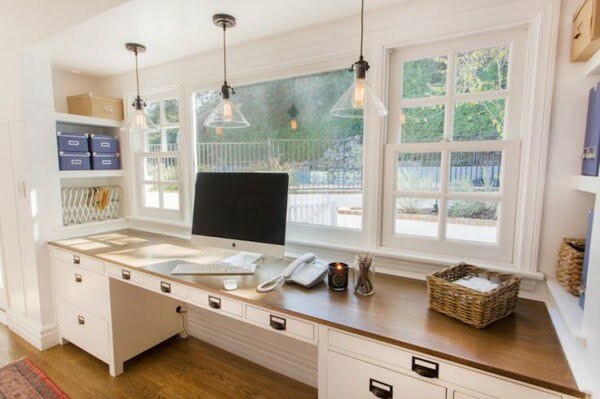 Having a home office space gives you a great deal of flexibility to create the look and functionality that you will enjoy (that’s not something you can say about the real office). 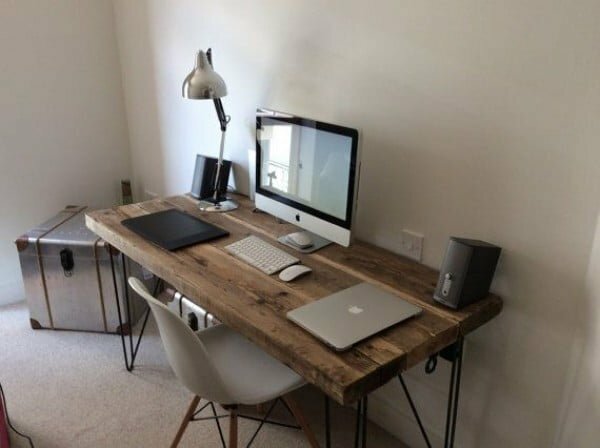 So whether you’re working from home or often have a lot of homework, you need an enjoyable work space where you can be productive and like spending time there. 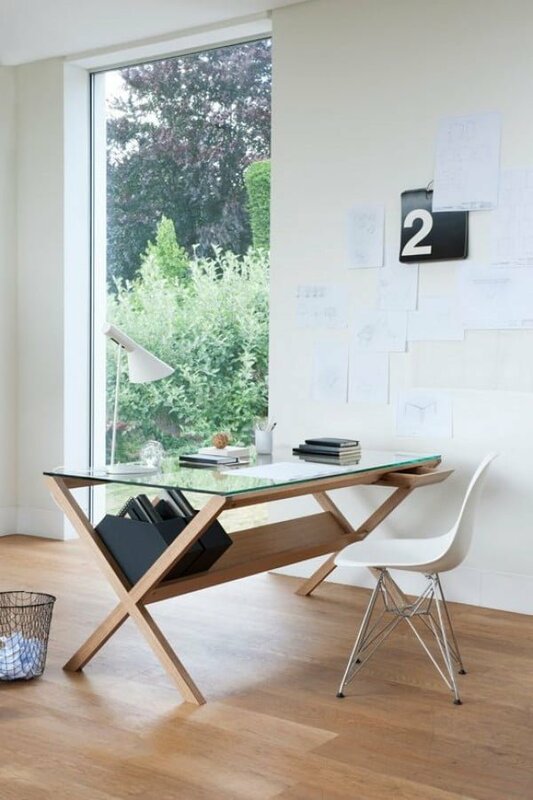 A desk is the focal point of a home office space so all decor revolves (and evolves) around it. 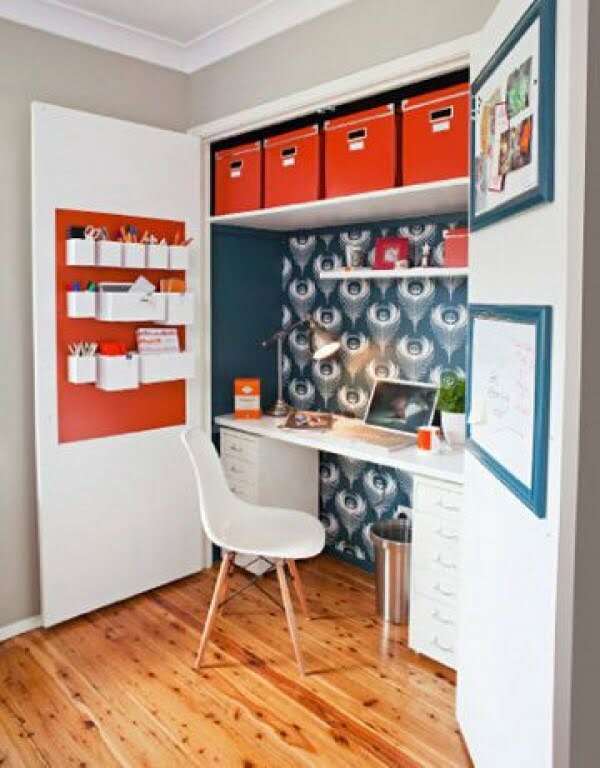 Let’s choose some stylish designs for your kind of perfect work space. The library style desk, especially (but not necessarily) bigger size is very functional and good looking – the card holder drawers give you a lot of space for organization. Bonus decor tip: paint the drawers to color code them. 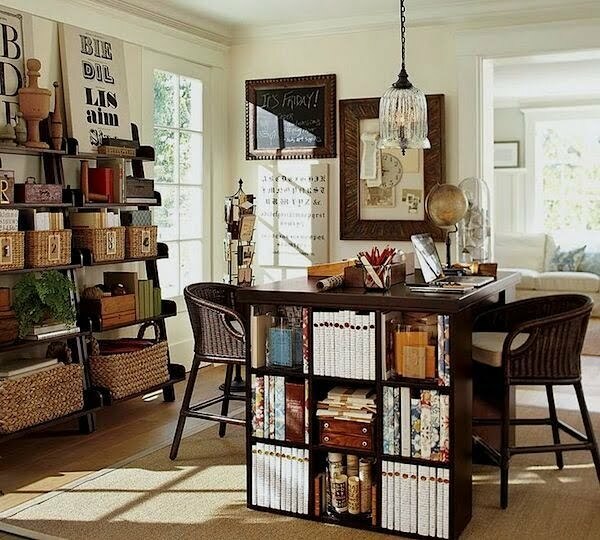 We love this idea for a double home office space with a simple bookshelf at the center. All you need is to install an extended table shelf and the crochet file baskets make the final accent. 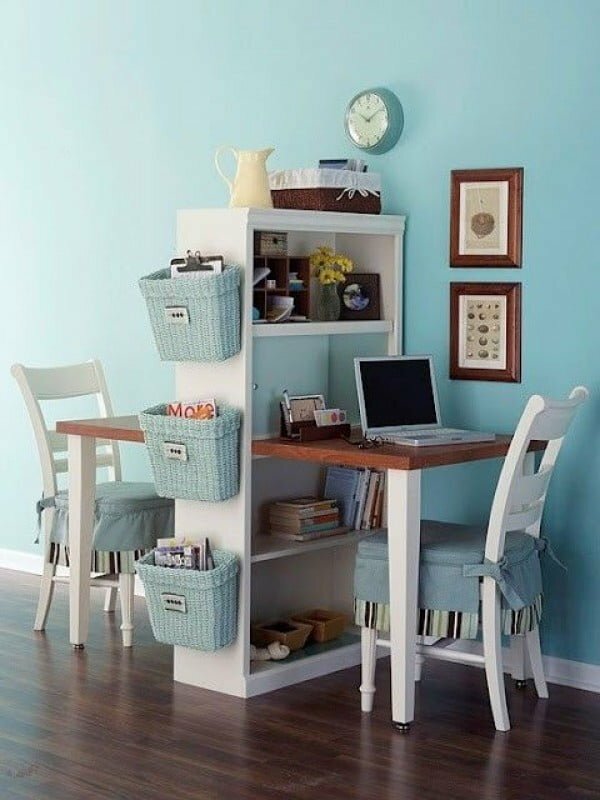 And here’s a different approach to the same idea – making the storage part of the desk. Shelving cubes can work as a leg for the table, or alternatively you can just stack the cubes under the table. 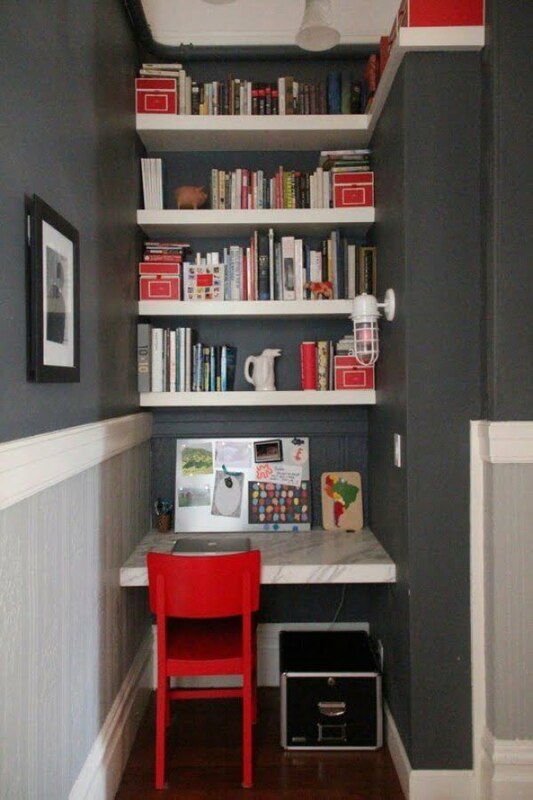 Having a built-in closet can serve another purpose as a home office space. It’s especially useful if you want to hide the place away when unused. For that warm rustic style and something that you can DIY. 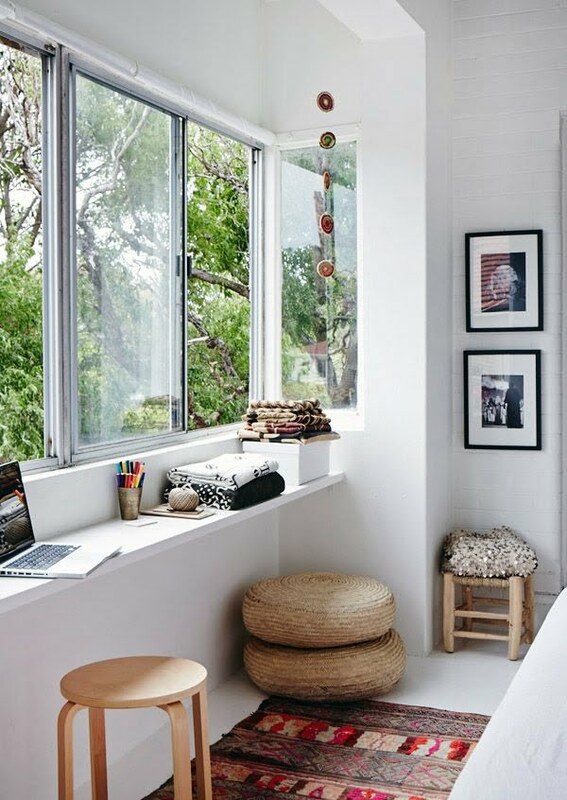 You can use a wider window sill or a shelf but this just goes to show how little it takes to create a functional and enjoyable home office space. This setup is simply ingenious in its functional and stylish design. It’s easy to install or move and it provides so much space for organizing. Having a narrow area for a home office in a little minimalist apartment is a blessing. 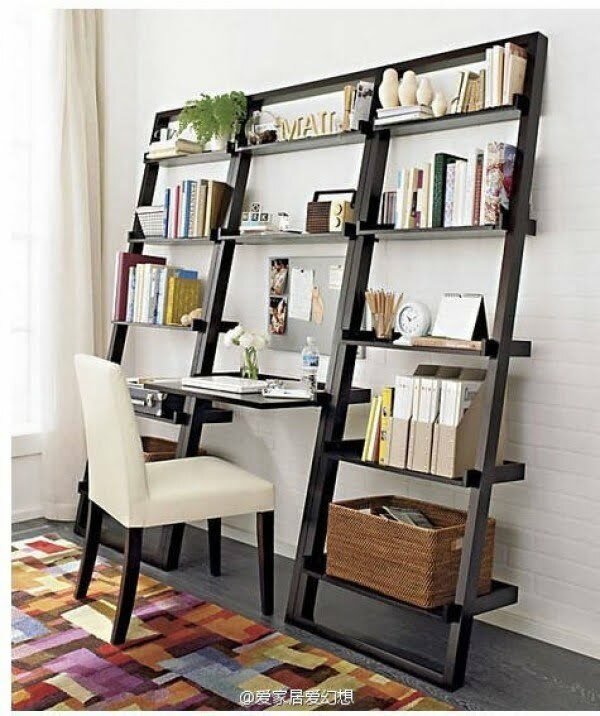 All it takes is a suspended shelf for a desk. We love the marble finish accent in this design. This modern minimalist style is very attractive in its design and functionality. The wood finish is also very well balanced out with a lot of whites and the glass tabletop. 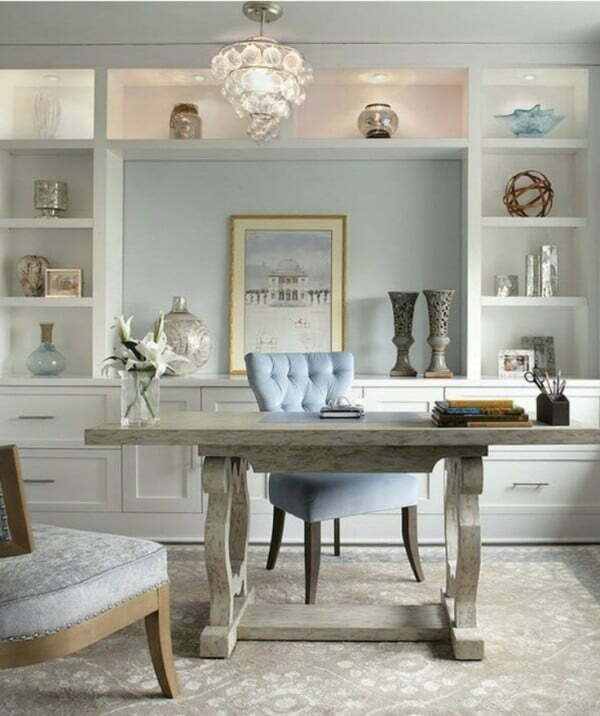 This design oozes sophistication and luxury, a real adult’s home office, if you will. We love the combination of patterns and soft hues.